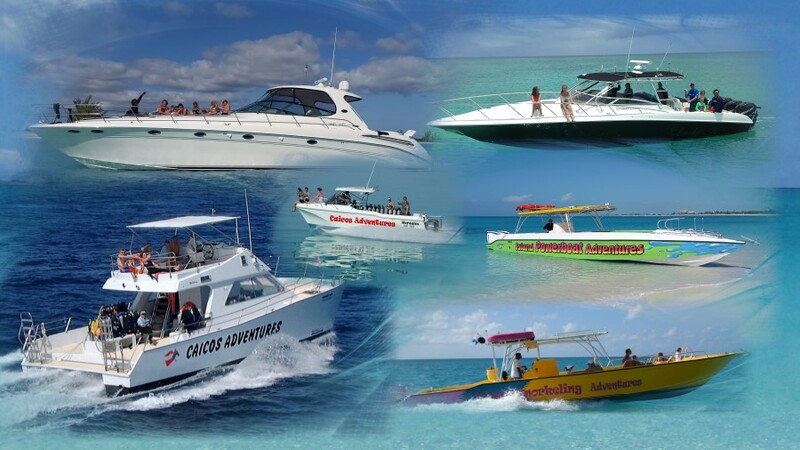 We now have a fleet of Six Boats, all custom, well designed and selected to provide the best Vacation Luxury Yacht Charters in Caribbean. We also pride ourselves in keeping all our boats in great shape, and the cleanest boats on island. Our boats are our most valuable tools, and we give them all the love and care need! Professional maintenance, care and operation. You will notice the difference. We keep hearing from guests how clean and well organized our boats are. As true Boats professionals, we understand the importance of keeping the boats the way we do. We love our boats and by giving them lots of care and respect…it shows! Our main dive boat, designed by FiFi and a well-known naval architect, is custom built for our needs and application. She is by far the most comfortable Dive Boat of the Caribbean! 43 ft x 19 ft beam, powered by two 330 HP Cummins, she cuts and flies over the wave like no other, and is definitely the most comfortable and stable boat you will experience. Tired of “Rock N’ Rolling” at the mooring or on the way to the dive site, like on many Mono hull dive boats? Instead lounge comfortably on our XXL Bow or upper deck and enjoy the view, fresh air and great weather… the Caicos cat is your best choice, home size toilet, two showers, lots of storage and well-set, camera rinse tank, large dive platform, safety bar with spare air, Sirius radio stereo, and of course all amenities and safety equipment needed for our trips. The Hercules is a 28 ft X 10 ft powered Australian made Cougar Catamaran. It is a very strong and very seaworthy vessel, used for diving or as a Rescue boat in Australia. 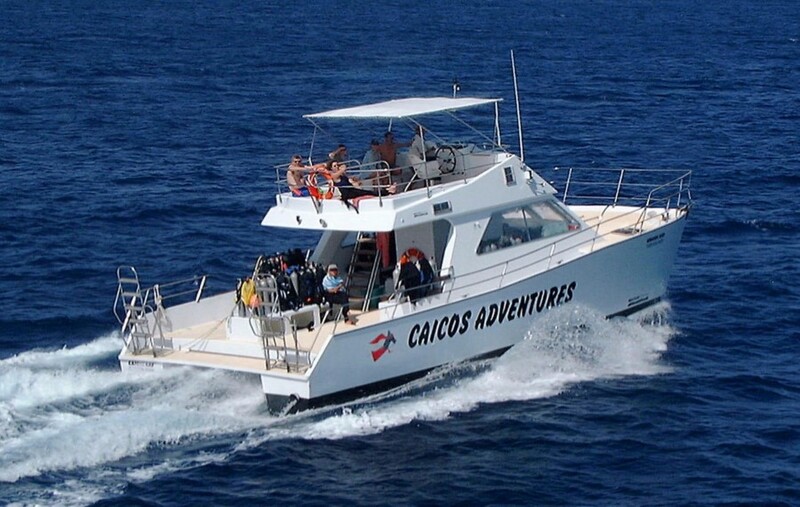 This smaller catamaran is perfect for small groups, either public or private, snorkeling, diving or custom trips. Powered by 2 x 250 HP Yamaha, Hercules is fast, and can get around in very shallow water. Set up with large toilet, fresh-water shower and lots of shade. A nice boat for small groups and family trips. 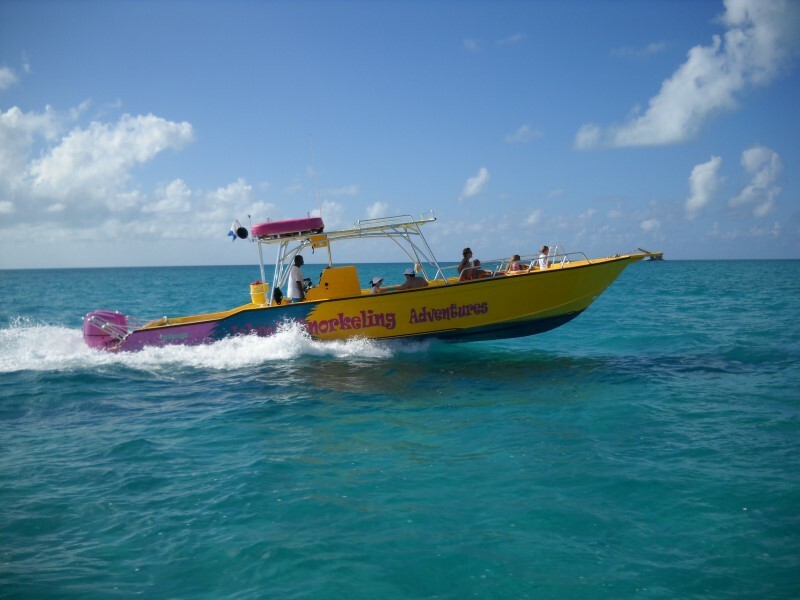 The Seabreeze is a 45 ft, open console snorkeling boat. 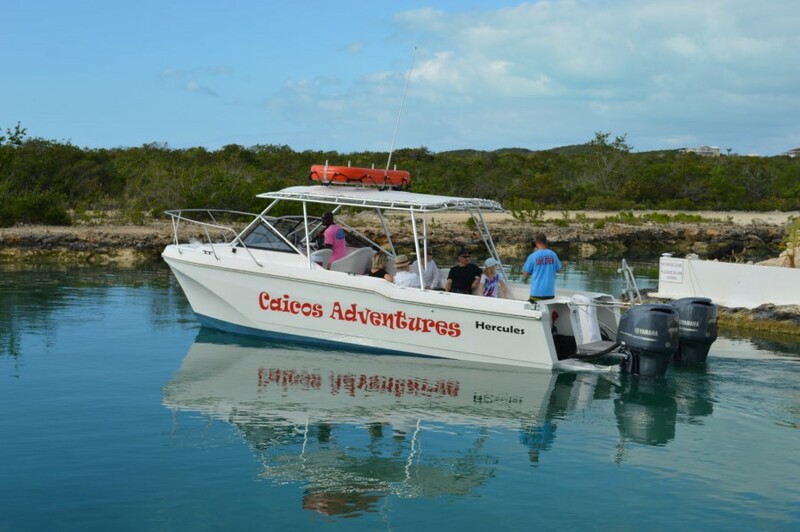 Well set with all around seating arrangement, large toilet, fresh water shower, Sea Breeze is one of our main snorkeling boat, that will take you to French Cay, West Caicos, for a pure snorkeling excursion. She is powered by 2 x 250 HP Yamaha, a very comfortable ride with lots of shade. 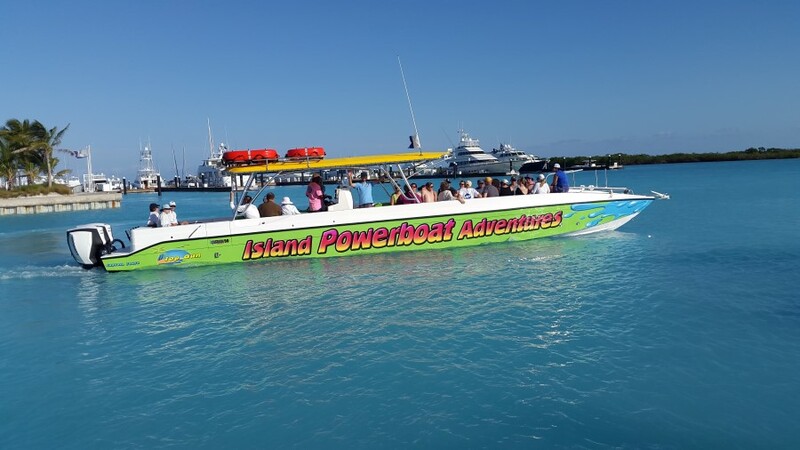 The Top Gun is a 50 ft Hann power boat. These vessels are manufactured normally for the military, as gun boats, or target chasers. This vessel is powered by 2 x 300 HP ETec G2 Evinrude, new tec engines, very efficient, quiet and smooth. Top Gun is probably the most comfortable, fun, cool boat you have been on, absolutely incredible ride and performance, toilet and fresh water onboard, all around seating arrangment, lots of shade, 2 x “dive doors” on deck, great sound system…and the coolest graphic design of all boats in the region!! 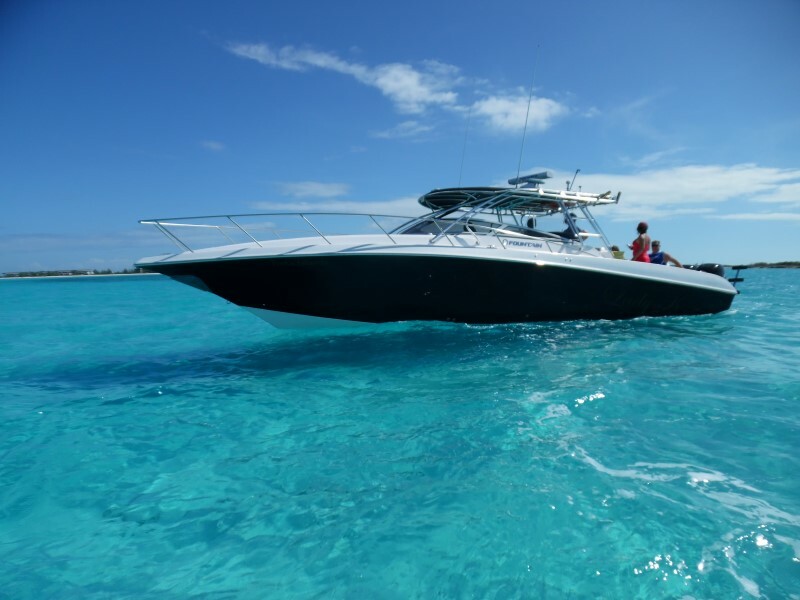 At 58 ft, the Sea Ray, Sundancer is a perfect Luxury Yacht for larger groups. 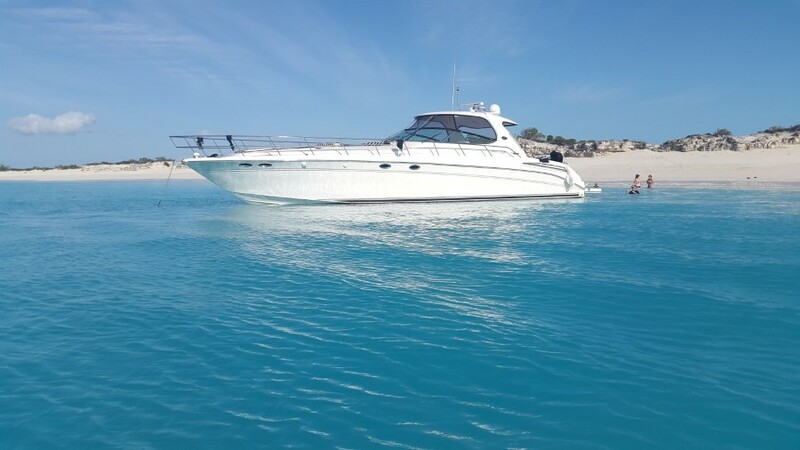 Best Yacht in it’s class for 1/2 & full Day beach cruising, island exploration, snorkeling, and enjoying a great day aboard a Luxury yacht. Extra large cockpit with sun bed, extra large bow space all set to accommodate larger groups. Hydraulic swim platform with jet ski on board. Sea Dancer is the best and most fun Yacht available for Luxury Charter on Island.